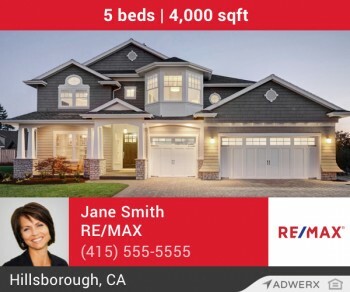 Home » Posts Tagged "Re/Max"
Founded in 1994 with just two offices and 40 agents, James O’Bryon, president of RE/MAX Gold, along with his partners and leadership group, grew the firm into the market leader in Northern California. 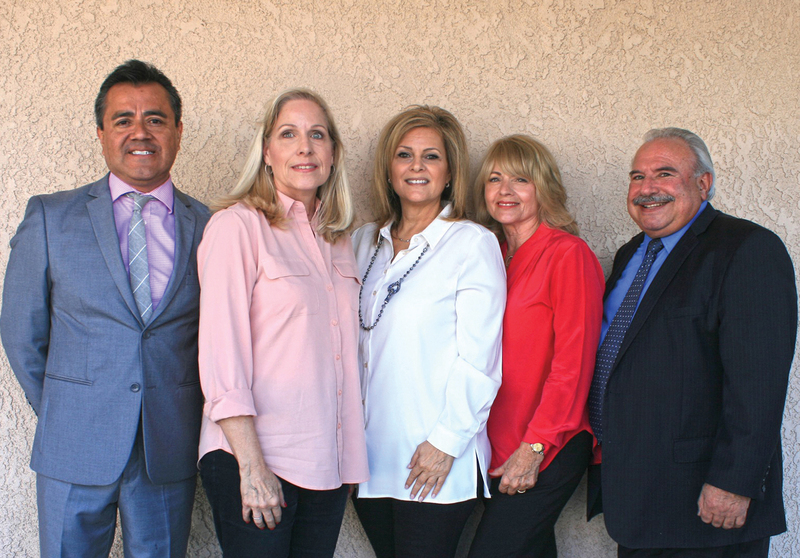 Now, he’s aligned with longtime colleague Keith Myers, broker/owner and president of RE/MAX Olson & Associates in Southern California, to bring their shared vision of success via service to a total of 21 counties throughout the state. In this exclusive interview, O’Bryon and Myers, along with RE/MAX Gold Executive Vice President of Sales Keith Ard, discuss how their strategies and synergies will further expand the firms’ presence and position in the many markets they serve. Maria Patterson: Please start us off with a little background about your respective firms, and bring us up to speed on your current alliance. James O’Bryon: I’ve been with the RE/MAX brand for 25 years. Our objective has been to build incredible service for agents, along with incredible scale, since the inception of RE/MAX Gold, and that’s worked out well for us. We became the No. 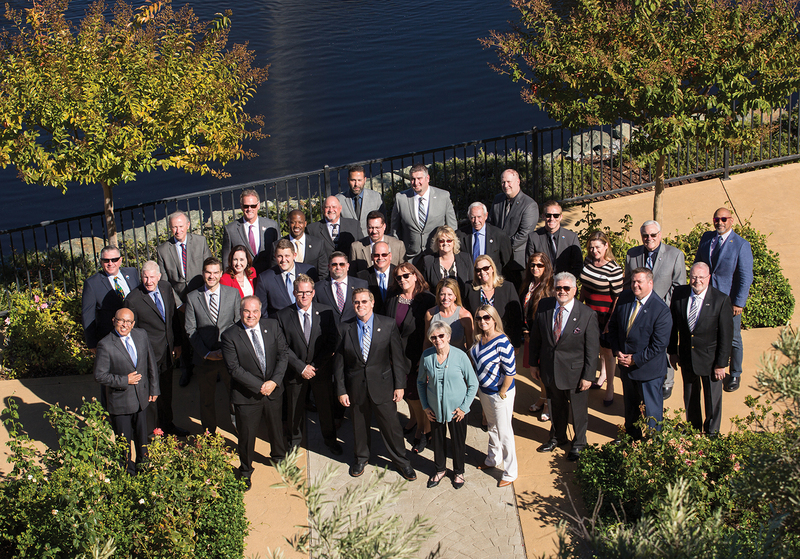 1 RE/MAX in number of agents in California by a significant margin, and California’s No. 1 RE/MAX in sales by a huge margin. In 2017, we had 13,267 transactions and were the No. 1 company in the state of California in transactions, per RISMedia’s 2018 Power Broker Report. When I met Keith Myers 18 years ago, it occurred to me that it could benefit us if we worked together. One of the things that really impressed me about him was his leadership. He always had innovative ideas, so we looked for all the areas where we could provide synergies and better support and service to the agent population, and we took the step of partnering in July of this year. Keith Myers: I own RE/MAX Olson in Southern California, with six offices and 208 agents. My previous partner Todd Olson started my company in 1987 and I became a partner in ’96. I converted to RE/MAX in 2000, which is when I met James at a regional event in San Francisco. My former partner retired in 2015 and I bought him out, so James and I have been talking over the past few years about forming a relationship. I wanted to replicate RE/MAX Gold’s expansion and work together to grow the total footprint. We have an alliance but run the brokerages separately. MP: What most attracted you to aligning with RE/MAX Gold? KM: Growth has always been in James’ DNA. The Gold Nation up there probably got hit harder than anybody during the Great Recession, and it bounced off the bottom and blew past everyone to achieve the largest productive agent count, and better productivity by every measure of success. James has always wanted to grow this large machine and scale it—not just for the sake of being large, but to attract like-minded individuals and do what they do best. That’s what attracted me: a phenomenal system and a phenomenal management style. I decided it was much better to join forces than try to replicate that on my own. MP: So, what is your total office and agent count with the combined firms? JOB: We have a total of 67 offices, of which 39 are branch offices and 28 are satellite offices, in 21 counties throughout California with a total agent count of more than 1,450, which represents more than 20 percent of the agent count for RE/MAX in the state of California. MP: What has been your approach to growth over the years, and what are your current goals in terms of expansion? JOB: Our core values and company vision statement are written into everything we’ve done over the years. We find the best, most productive, most ethical agents and put them in an environment where they can succeed, and then we succeed through them. That’s why our agent productivity is consistently higher. We have virtually no non-productive agents. Our expectation in the near term, combining the Northern and Southern firms, is to reach $ 8 billion in volume. In 24 months, we expect the combined companies to reach $ 12 billion. MP: What role has the RE/MAX brand played in your success? JOB: In the early ’90s, I owned a couple of boutique real estate brokerages, and it annoyed me that our agents kept getting beaten at listing presentations by agents who worked at branded companies. I was attracted to RE/MAX 25 years ago, and I continue to be. Their model allowed me to have a vision with scale. The vision I had as a young man was not scalable. I needed two things to achieve my vision: a brand that people recognized and trusted; and to be surrounded by extraordinary people. I thought the RE/MAX brand could help with both, and it has. 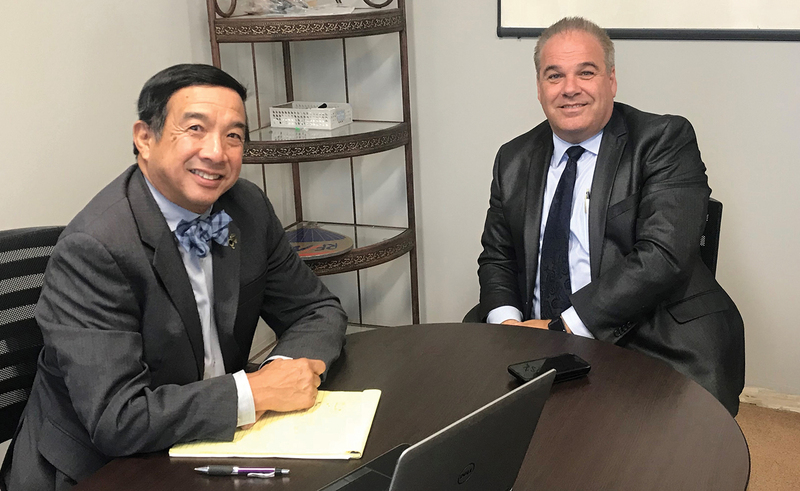 And this chapter of the firm’s growth is the ultimate demonstration of that concept; I’m surrounded by extraordinary people internally and extraordinary people like Keith and his team in Southern California. MP: How would you describe the current state of the market? What are the greatest challenges and opportunities? KM: I would say we’re in a period of pause and reflect. The number of sales has slowed down and prices touched down a few percentage points over the past 4-6 months (at press time), which is probably the best thing that could happen. As we navigate through here with a real robust economy, it’s healthy that the market is doing what it is. This isn’t like the run-up to 2004-2005; quality mortgages are being given to borrowers that qualify. The increasing growth of millennials and Generation Z is creating a demand for housing; even if it’s later than sooner, they will come. We have to keep agents focused, but energized, and give them new and better ways to compete. During these times, consumers really can’t take a chance on working with a random agent—they need an agent backed by a global, credible brand. Keith Ard: In Northern California, the market is slowing down a bit. This is creating an opportunity for us to meet with a number of folks. The window is closing on sellers being able to look forward to multiple offers, so many agents who chose a non-branded or small boutique environment can no longer compete with the exposure a brand and California’s No. 1 brokerage can offer. As the market adjusts, we’re finding that agents are calling us because they need more in their toolbelt. JOB: Even though we’re seeing a slowing in the organic part of the market, we’re on the cusp of an incredible opportunity to take marketshare from companies that deliver less brand and less service to their agents. MP: How are you helping agents compete and succeed in an increasingly congested marketplace? KA: We looked at a marketplace that has a lot of competitors and new offerings. We thought it was important to streamline a system to help associates better understand how to navigate the noisy and complex market. We created an exclusive consumer marketing platform that includes the internal resources we’ve had access to for many years through RE/MAX. We also went out to the market and found strategic alliances, such as Fusion Growth Partners, for agents who want to take their business to the next level. Our offering includes traditional marketing resources, connectivity to consumers through remax.com, lead generation through LeadStreet, partnerships through Offrs and Adwerx, who generate AI and predictive analytics, and a product called FrontPorch for agent social media connectivity. KM: From a 40,000-foot level, I’m particularly excited about Fusion. We’ve always been an early innovator and are all about creating “real estate for grown-ups;” in other words, providing a platform that gives agents the freedom to maximize their careers and also provide them with world-class support, including an attorney on payroll, a management team and a transaction and listing coordinator all wrapped up in a true, global brand with the highest productivity per agent. MP: So, I guess it’s easy to see why agents join your firm…and why they stay! JOB: If you put a sign out in front of a store that says Mercedes or Cartier, people are naturally attracted to look inside. That sign for us is RE/MAX. But it’s super important that once they’re inside, they’re cared for in a way they felt wasn’t even possible. The fundamental thing you need is a willingness to care for others—then you can teach them the skills. We’ve also done an incredible job of making sure we deliver hospitality for agents, and that agents deliver that hospitality for clients once they come through the front door. MP: Please describe your firm’s culture and leadership philosophy. JOB: The two most overused words in this business right now are disruption and culture. We have a trademarked saying for our firm: “Gold Nation—Not a Culture, a Community.” Covering as much of California as we do, to say we’re going to build a single culture and create compliance with that culture is overreaching and disrespectful. The diversity we cover can’t be homogenized. What you can do is celebrate the culture of each branch, and then tie them into the community. 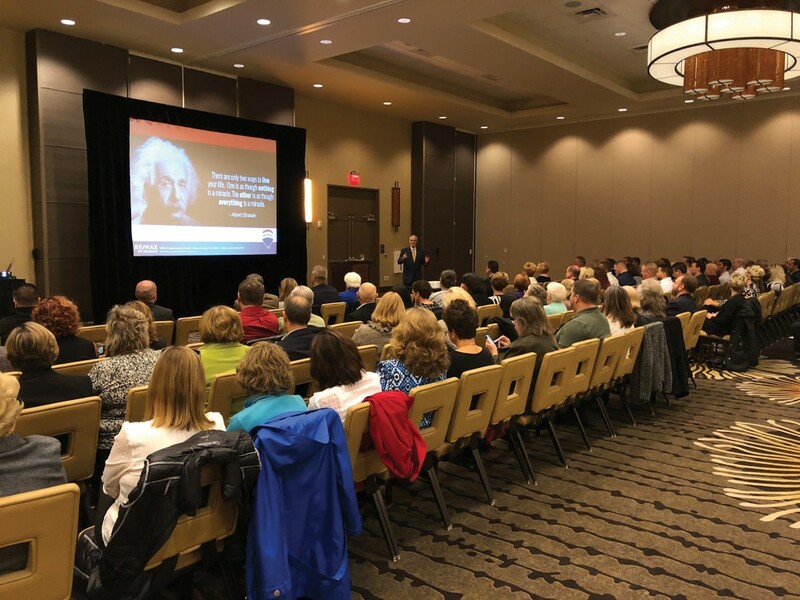 KA: We employ the most productive agents in the marketplace who already have a great foundation through RE/MAX University, so we focus on helping bring agents to the next level by collaborating on best practices in small, medium and large group settings. We host MEC—Motivate, Educate, Collaborate—events that are led by leadership experts. Many companies rely on peers teaching peers, but we focus on utilizing subject matter experts. KM: We have a different agent mix than many companies, and we take on some brand-new people. We have a training director who teaches classes every Monday morning in our training facility, and they run the gamut from new agent topics to material for more experienced agents. We also have two sales meetings per month per office, which I use as an opportunity to coach and speak on business development topics. I’m constantly learning from all the success stories around me and sharing that with others. I also encourage agents to look at outside trainers—there are a lot of good ones out there. MP: What are some of your most innovative marketing strategies? KA: We look at marketing as a partnership with agents. They look to us for help with systems, but they don’t look to us to keep the relationship with their customers. They want the autonomy to keep that relationship the way they want to. With our eight-point exclusive marketing system, we offer an approach that helps attract new consumers, and, at the same time, reiterates your strength in the marketplace to existing consumers. We believe that disruption is not an excuse to have to change everything, but the way the consumer wants to be communicated with is changing. The agent who adopts technology will have the best opportunity to communicate with all generations, from aging baby boomers to new college graduates. KM: Yes, we have to reach the consumer in the way they want to be reached, so we use all modalities, including good old-fashioned picking up the phone. We have to deliver a message to the consumer that shows that we’re trying to provide value and that gives them added reasons why they would benefit from working with us. MP: What are your goals looking forward? JOB: The future of our organization is to be of greater service to the community both in the brokerage business and beyond. In 2017, we donated over $ 200,000 to the Children’s Miracle Network. In 2018, we’re looking at a quarter of a million dollars. This is compounded by our individual efforts, whether it’s with the American Red Cross or toward cancer research. Along with philanthropic service will be even more robust service to our agent population, so they can win business and take extraordinary care of their clients. The sum of all that results in RE/MAX Gold and RE/MAX Olson. We’re covering more of California based on our victories in service. That’s what’s moving us toward our goal of $ 12 billion in business done by 2,400 happy members of our agent community. My crystal ball has 20/20 clarity; that’s what I see. For more information, please visit www.remaxgold.com and www.olsonmax.com. 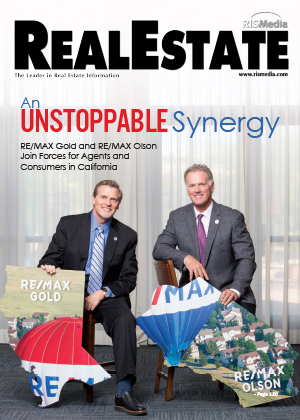 The post An Unstoppable Synergy: RE/MAX Gold and RE/MAX Olson appeared first on RISMedia. With more than 3,800 transactions produced by 140 agents last year alone, RE/MAX of Reading has sold more homes than any other single-office RE/MAX company in the country. But for broker/owner Jack Fry, that’s only the tip of the iceberg. What he’s most fiercely proud of is the generous spirit that pervades his Berks County, Pa., firm, and the commitment to a high-touch culture that empowers others and generates success. Fry, who grew up with a dad in the real estate business, earned his license while still in school, and, fresh out of college in 1973, joined his father’s independent company in the Reading area. Four years later, a member of the Million Dollar Club, he won a state award for sales from the Pennsylvania Association of REALTORS®. At the 1978 National Association of REALTORS® (NAR) convention, Fry found himself in tune with the RE/MAX real estate system and, with his father as a 50/50 partner, bought the RE/MAX of Reading franchise in 1980. There were two agents on board. The two worked hard to get the franchise off the ground, but when his father died suddenly that same year, Fry became the sole owner and broker of record. He was 27 years old. Today, he leads a company with more than 140 full-time agents and an administrative staff of 16. The office regularly holds more than 30-35 percent marketshare for all listings sold in the scenic Berks County and Greater Reading countryside region some 45 minutes from Philadelphia, and the company is ranked by service guarantor QSC as one of the top three companies in the country in customer satisfaction. RE/MAX of Reading’s support staff enables its agents to exceed national productivity averages. But something more than dedication has driven the company’s achievement. He called a meeting, attendance mandatory, and thanked everyone for their considerable achievements. But he also called for a new way of conducting business. His plan, he says, was to make company business transparent to every agent, downplay ego and negativity, provide a new kind of coaching and training, and create a workplace that thrived on support and service. The new vibe wasn’t for everyone. Within 30 days of this momentous meeting, 10 percent of the firm’s 56 agents had summarily left the company. But among those who remained, Fry sensed a positive change in energy, and in the following year—with no discernible change in the market—they added 13 service-minded agents, and business grew from an average of 18 transactions per agent to 28. The new culture was making a tangible difference. Among those who stayed was manager Jim Williams. An industry veteran primarily responsible for recruiting, coaching and training, Williams was a firm advocate for the firm’s new policy. Fry and Williams introduced new individual and team training based on the self-help lead generation and accountability philosophies of Brian Buffini and Tom Ferry. As business grew, so did the need for improved and expansive marketing concepts, with a focus on technology and the growing field of social media. A veteran in retail customer service with a keen eye for technology and the value of social media networking, Ritter came to RE/MAX of Reading in 2006. Ritter created new profiles and automated communication platforms for agents to use with their customers, as well as introduced a strong digital footprint focused on recruiting. In fact, there’s a multimedia room that seats 100 where group training is ongoing, but individuals can also get special attention when they need it. In great measure, he adds, it comes from the top. In recruiting both new and experienced agents, Williams looks for team players who enjoy working with others, are focused on achieving goals, and motivated to do the very best job for their customers. Recruiting efforts are helped by the company’s reputation in the real estate community as a workplace of high-achievers who seem genuinely glad to come to work. Part of that protection means providing his agents with an abundance of services, including transaction coordinators who free the agent from paperwork, a service desk to handle promotions and marketing, and an IT department that reliably brings in state-of-the-art but easy-to-use technology and practical social media training. The firm also has an unparalleled leadership team. Under Fry’s presidency, with Williams as general manager and Ritter as IT officer, Joe Peterson serves as compliance/dispute resolution manager and KJ Fry and Keith Malone as team managers. Kelly Pieja is the firm’s chief financial officer, while Kate Flowers heads human resources and agent services. In return, Fry expects that each agent will touch the consumer at the highest level, doing everything within their power to help customers achieve their real estate goals. 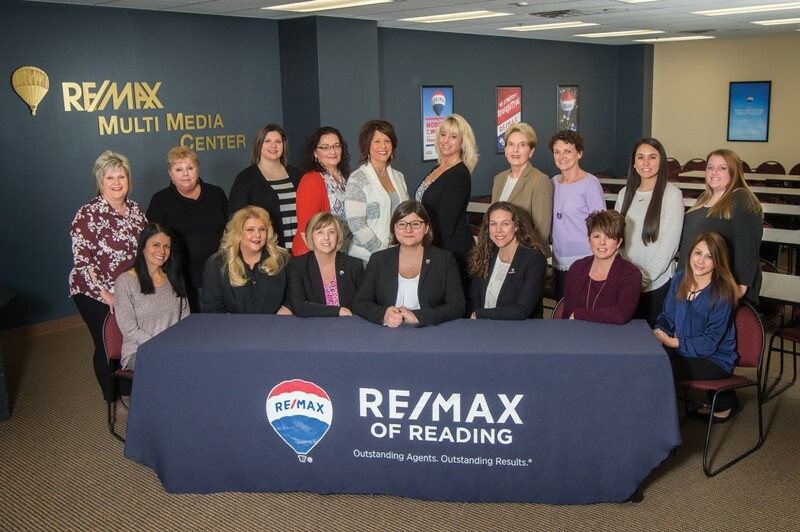 Every RE/MAX of Reading agent is deeply involved in the community, supporting national organizations like the American Cancer Society, the Children’s Miracle Network and Women in Crisis, as well as a myriad of local causes—more than 100 in all. And they’re not simply donating funds. They’re out there coaching kids, stocking food pantries, teaching literacy, and more. Not only does this kind of work ethic and caring approach become its own reward, but also continues to drive agent productivity and enhance the bottom line. 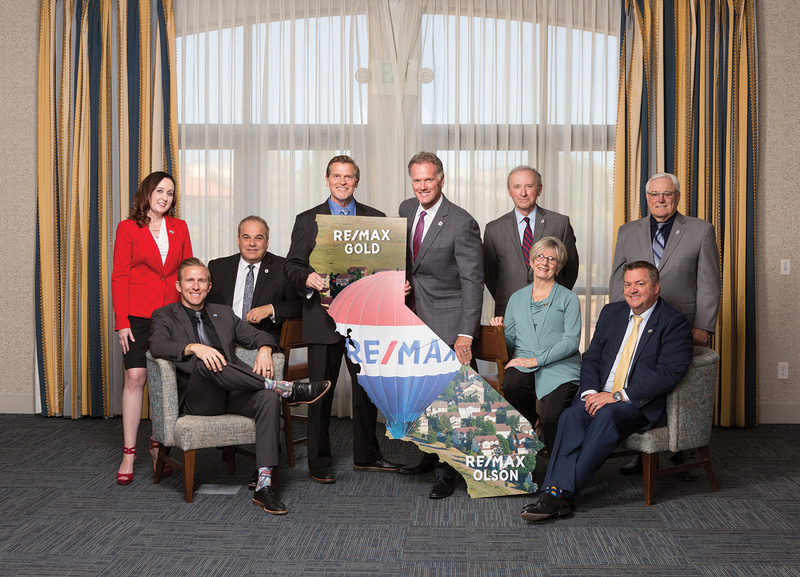 In a region with an average sales price of about $ 180,000, RE/MAX of Reading has received the Pennsylvania/Delaware Regional Award for highest transactional volume—over $ 650 million—for several years running. What’s on tap for the future? In the 16 years since Fry’s decision to change the company’s focus, the market has seen change upon cyclical change. But steady and consistent growth remains the hallmark and strength of the franchise he guided from its fledgling stage to the company it is today. For more information, please visit www.goberkscounty.com. 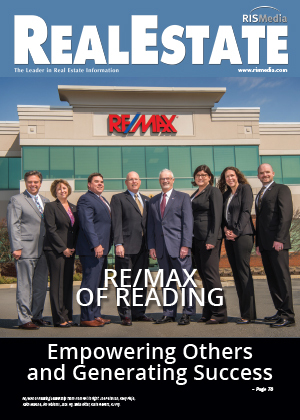 The post RE/MAX of Reading: Empowering Others and Generating Success appeared first on RISMedia. When brothers Nimesh and Minesh Patel decided to go into business together, they leveraged their rich backgrounds in technology, finance and real estate to take over Sugar Land, Texas-based RE/MAX Fine Properties in 2009. Since then, the firm has consistently improved upon its numbers year-over-year, with remarkable accomplishments in agent productivity. The secret to the Patel brothers’ success? A hands-on, business-focused, supportive relationship with each of the firm’s 180-plus agents. Read more about the pair’s mindset for success in this exclusive interview. Maria Patterson: Please briefly describe your career path and how you came to lead RE/MAX Fine Properties. Nimesh Patel: Before real estate, I was in IT and moved out to San Francisco to work with some big firms in the area. Dot coms were doing really well in the late ’90s and early 2000s, but I was missing my friends and family, so I moved back to Texas. I got my real estate license in 2002 so that I could create some investments for my future. I ended up being fairly good at it and joined RE/MAX Fine Properties. There are still people here now that taught me real estate back then. Minesh Patel: We were both born in London and raised here in Sugar Land. I went to college in Houston, and in 1999 moved to California to join my brother in searching for a career opportunity after graduation. I majored in business and finance and landed a great job with Barclays Global Investors on the hedge fund side. I came back in 2007 to be with my family, but stayed in my industry and signed on with another hedge fund. Then in 2007 and 2008, the world collapsed. I was laid off and the industry went down the drain for the next several years. Opening my own business was always a lifelong dream of mine, so I decided to partner with my brother. By January 2009, we bought RE/MAX Fine Properties. MP: That must have been an interesting time to get into real estate! Minesh Patel: There were a lot of concerns. We were buying into an industry that was collapsing and hemorrhaging rapidly. No one wanted to buy a house. Everyone was scared. Real estate had come to a grinding halt and the subprime market collapsed. Agents were leaving the industry in a mass exodus. The positives were we were coming into a business that was distressed. We were buying in a down market as opposed to an up market, so it was easy for us to negotiate a lot of important variables. Nimesh Patel: We knew that if we got into the business at a discounted price, and put our energy and effort into it, we could build it up and stay on the positive side of things right off the bat. I liked the fact that this was going to be challenging, but if we worked hard, there was a lot of potential. Nimesh Patel: We have one office and 185 agents. For two years in a row, we’ve been the largest single office RE/MAX in the country. Our parents are involved here, too. Our dad is our accountant, and when I got my license back in 2002, my mom also got hers. And to this day, she is still active. Minesh Patel: We’re No. 1 in the country and No. 5 in the world in terms of agent count for a single office. In addition, we’re in the middle of expanding via a satellite branch. One of our fastest-growing teams wanted the opportunity to open their own office in Katy, so we’re currently helping them build out another office, which will open very soon. MP: How does being affiliated with RE/MAX help support your success? Nimesh Patel: RE/MAX has always been known as the home of top producers who have been in the business for a while. We like that aspect of the brand. We’re not going to teach people how to sell real estate; we’re going to teach people how to be long-term business owners. If you’re an agent who made $ 100,000 but netted only $ 30,000, that’s not good. Because of my brother’s background in finance, we’re going to say, “Let’s go over your P&L and see how we can make you more profitable.” We’re changing the language of how we talk to agents and treating them as mini businesses under us. As RE/MAX, we’re going to attract solid producers, but many need help on the business side of things to get to another level. Minesh Patel: When we decided to get into business together, we looked at 15 or 20 businesses that year, and all kinds of franchises, from Subway to car washes to daycares. RE/MAX was the No. 1 global leader in real estate in terms of transactions and sales, but also carried global brand recognition. It’s ranked with the likes of Coca-Cola, GE and Microsoft. MP: Why have you chosen to stick with one main location? Nimesh Patel: A big part of our culture is that Minesh and I are always here. We found it difficult to see how we would run other offices as successfully if he and I were absent. We didn’t want to have a landlord/tenant relationship with our agents. We’re here; we’re your family. If we start spreading ourselves too thin with other offices, it’s not going to work. There’s no magic pill—you have to be there. Nimesh Patel: Last year, we did $ 770 million in sales volume with 180 agents. The second closest real estate firm in the area has 380 agents and did $ 650 million. We’re more productive per agent than any of our competitors. Our agents are breaking records in every single category—from listings to buyers to new construction, our firm dominates. Our agents keep increasing our numbers month-over-month and year-over-year. We have a family atmosphere—a serious family atmosphere—with competition and cooperation. We believe that you’re the average of the people you surround yourself with. MP: What is your approach to recruiting? How do you ensure you’re bringing in and keeping such productive agents? Minesh Patel: Most brokerages out there take anyone who has a license—they recruit constantly. Our approach is unorthodox. We have minimum standards in place to be hired and we go after seasoned agents. We want six-figure producers who are serious about a long-term career in real estate. And we recognized early in the game that it’s about retention first—training and educating and making the agents we have more productive. That, in turn, leads to our agents doing the recruiting for us. We don’t make recruiting calls, and on average we turn down 10 – 15 agents per month. People see how we’re doing things differently and they want to be part of a place like this. Nimesh Patel: We’re also an open book. For example, we wanted a really big producer in the area to come join us, but we didn’t like his overall demeanor after several interviews. He wanted a “deal” to come over to our firm, and we don’t play that game. We treat everyone the same. The firm found out we turned him down and it ended up being the most positive thing we’d done in a long time. It gave our agents a tremendous sense of pride to know we won’t compromise our standards. Minesh Patel: Our hierarchy is very flat. Most brokerages only cater to top producers and forget everyone else. Our top producers are as important as our up-and-coming producers. We like to treat everyone fairly because you never know when the next superhero or rock star is going to emerge. We see it every year—unexpected, break-out agents who take over a No. 1 spot at our firm. Nimesh Patel: From our staff perspective, we rarely have turnover. We promote from within. Our most senior manager started out as a weekend receptionist. We’re all about recognizing employees with opportunities they wouldn’t have elsewhere. They’re integral to our success. MP: How do you involve your agents in the company’s growth? Nimesh Patel: We’re very analytical and use a lot of bar graphs and charts. We like to make sure our agents know what’s going on. They’re a part of this growth and it’s important for them to see where we’ve been and how far we’ve come. Nimesh Patel: We teach our own classes—only one per month and only when we really see the value in it. People understand that and it’s why they come to the classes when we have them. It’s my brother and I providing a market snapshot, educating agents, and hopefully teaching them something they didn’t know before. Minesh Patel: We were one of the first RE/MAX owners to use Momentum training, which was developed by David Scott. We also use Brian Buffini and will quickly adopt any other coaching and mentorships we think add value. Nimesh Patel: We’re big on social media. My brother and I actually run our own Facebook page. We market the success of our agents and firm constantly. Minesh Patel: With Nimesh’s background in technology, and also being some of the youngest owners at every RE/MAX convention, we’ve been in touch with millennials, and, therefore, were quick adopters of Facebook and other social media outlets that had the largest worldwide traffic possible. We like to let clients know that since we’ve taken over, the firm has had its best year, every year, nine years running. We were one of the few firms growing in the worst recession real estate had ever seen. While most firms were struggling until the market started recovering at the end of 2012, our sides were doubling every year. MP: How do you stay ahead of the curve on technology? Nimesh Patel: We don’t adopt every single piece of technology that comes out. I’ll be the guinea pig for every new piece of technology we consider, taking the time to learn it and teach it. And Minesh will go to a company and leverage our numbers to get great pricing for our office. MP: It also sounds like you’re often the guinea pig for systems adopted by RE/MAX corporate. Minesh Patel: Yes. For example, BackAgent (online transaction management software) is one of the most widely used systems among brokerages today, but Nimesh was one of the first agents to use it. We found the developer who created it for a local company here and we asked if he could create a custom version for us. After our success, RE/MAX corporate picked it up and promoted it. Nimesh Patel: We have a great relationship with RE/MAX and we want to be the first ones to do everything. We want to see RE/MAX do well as a whole. When we first got into the business, people reached out to us, so we’ve always had a pay-it-forward mentality when it comes to helping new owners launch their brokerages. MP: You recently suffered through Hurricane Harvey and its aftermath. How did the company fare? Nimesh Patel: We turned our 3,000-plus square-foot training facility into a distribution center for building large totes filled with food, masks, gloves, bleach, box cutters, water, toiletries, Clorox wipes, towels and anything and everything we could find. Partnering with Operation: Rebuild TX and The Church TX, we were able to make over 1,450 huge bins and distribute them all throughout the Fort Bend County area to many of the affected families. We had eight of our own team members severely affected, yet our whole firm, community, business leaders, friends and family came together to assist in rebuilding. As for future business, we’re very confident in our agents and our community; we’ll be on our feet and on top very soon. MP: So where does the company go from here? Nimesh Patel: We want to make sure we don’t remain stagnant and stale and lose marketshare and agents. Someday, someone is going to come along and do what we did. The challenge is, how do we stay out in front of changes and technology? It’s our job to be knowledgeable about everything, so when we hear something about Zillow or Redfin or Amazon, we’re not going to dismiss it. As long as we know what’s happening and coming, we can prepare. Minesh Patel: Information is the most powerful commodity in the world. We have our ear to the ground on what’s happening so that we can be prepared and act on the information quickly. For more information, please visit www.remaxfine.com. The post Out in Front and Ahead of the Game: RE/MAX Fine Properties appeared first on RISMedia. The post RE/MAX and Adwerx Launch Listing Automation appeared first on RISMedia.